Kai Althoff’s portrait is rendered with rudimentary simplicity: shape, tone and colour create a totality of exquisite presence. Untitled boasts a contained elegance, deceptive in its complexity. 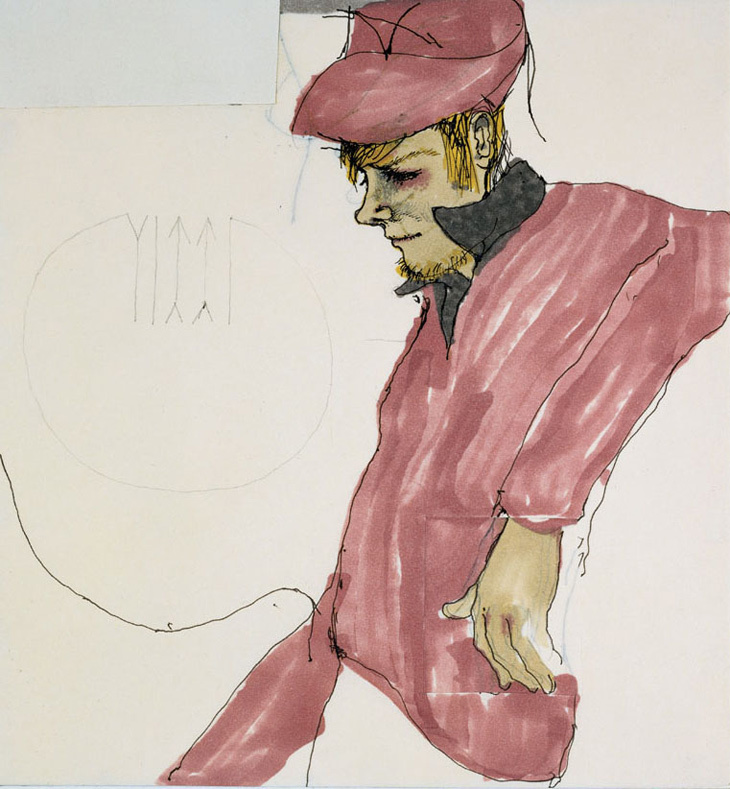 Sexualised with reference to Egon Schiele, Untitled is an overture of dandyism. Kai Althoff tenders this painting with the contrived scrutiny of the most discerning connoisseur. Haughty and self-possessed, Kai Althoff’s boy is a perfect specimen. Both ruffian and swan song, he encapsulates the duplicity and danger of idealised beauty.